Vanguard alum Marcin Wrona (The Christening, 2010) is returning to TIFF with the creepy tale of a dybbuk, a malicious spirit found in Jewish mythology, that possesses a man during just before his wedding. 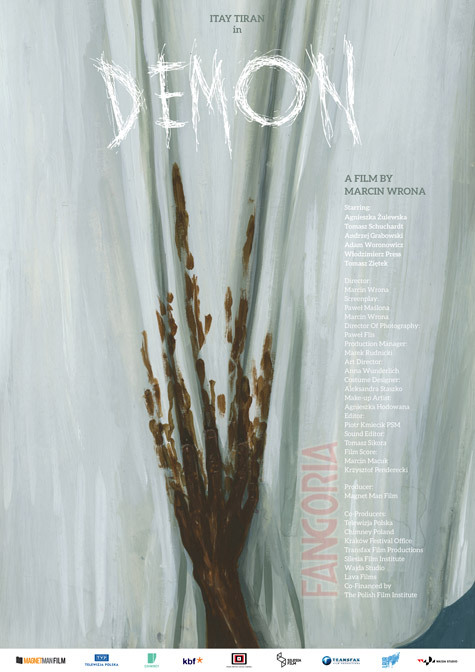 Demon is based on the Polish play Adherence by Piotr Rowicki and judging from the poster and trailer will leave you chilled and unsettled. Below is the poster and the atmospherically creepy trailer for Demon, which plays this year's Toronto International Film Festival within the Vanguard programme. Further information about Demon can be found on the Festival website, as well as on the film's Twitter account.